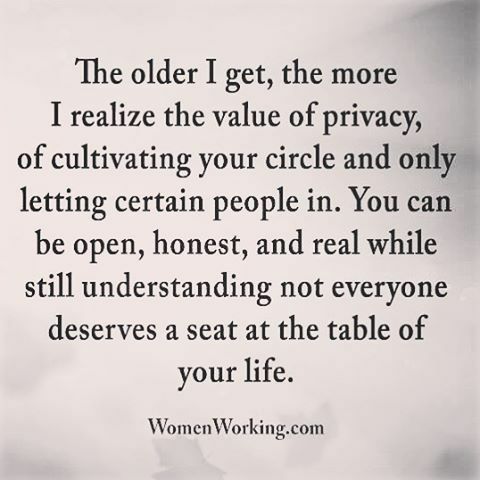 and only letting certain people in. deserves a seat at the table of your life. 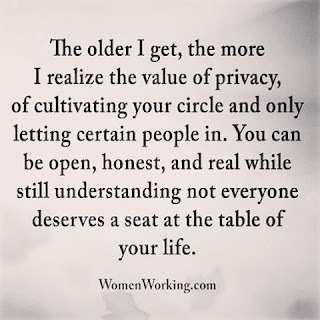 The value of privacy.... agreed! Agree. At this age, we just need only a few quality people to get in our life.